In this month's enewsletter, you will find out what is in store for members of the National Association of Social Workers, Arizona Chapter. This month's newsletter includes congratulations to statewide award winners, the NASWAZ Board of Directors Election results, regulatory announcements, statement regarding terrorism in South Carolina, and more. Check the "Community Calendar" on our website to attend an event near you! The horrendous violence in Charleston, South Carolina shocks us all once again to a cruel reality we don’t want to acknowledge. We are a violent racist nation. On the heels of the recent police incidents with people of color and a history of mass murder incidents, we must stare once again in that mirror of racism and our violent culture. We are filled with sadness and anger and shock all at once. As social workers, we confront racism and violence every day. We see this violence of our nation’s original sin in poverty, sexism, inequality, housing, ableism, the lack of adequate social and health services, the social control embedded in our social and health policy, the overt prejudice in our justice and incarceration systems. Then we are shocked once again by events like Charleston. President Obama, Jon Stewart and so many others have all asked in many different and eloquent ways,when will we finally learn and stop this hatred and bigotry and violence?This is not about one person’s hatred or violent acts. This is a shared responsibility. This kind of mass violence and domestic terrorism is tearing us all apart. We all have this cancer that is destroying us as a people where we no longer can see our shared human dignity. When will we come to our senses as a nation and culture about our radical racial sins and the violence embedded in our gun culture and how they contribute daily to violence in our society? As social workers, I think we need to do at least three things. First, we must confront the racism and white privilege and violence and anger in our own lives. None of us are unaffected by historical and current racism in our society. I was personally raised in an upper Midwestern community where both overt and subtle racism was part of our family and daily lives. I have struggled my whole life to overcome that embedded bigotry. My wife and I had to directly confront family members who continued to act out that bigotry as we began to raise our children. For those of us who have benefited from white privilege, we must ask for forgiveness. This process can be difficult and painful, but we must find ways to acknowledge who we are and heal ourselves to help heal our society. Second, we must challenge the practices in our places of work. It is not enough to just be culturally competent agencies and have agency policies which provide for inclusion and informed competent practice. We must dig deep in the subtle practices of white privilege that remain in our places of work -- who really is in charge, how we treat each other, who gets to speak first, who is taken seriously, who is really listened to, who gets to train the rest of us, who really controls the money, who really makes the decisions, what are the symbols and rituals of our community, who gets promoted. We must stop the privilege embedded in our workplaces practices that sees the people we serve as less than rather than equal authentic partners in their own healing and change. Finally, we must redouble our efforts for reconciliation, peace and social justice in our society and public policy. As social workers, we must resolve to participate more actively in creating peace --- changing hearts and minds as many have said, being leaders for healing and reconciliation in our culture and political systems. We must resolve to make real change, speak up against all violence, work hard in elections and support legislators who will vote for gun restrictions and human kindness, promote strong gun control, join organizations that work against hatred, donate to strong anti-gun organizations, confront racism and white privilege everywhere we encounter it, become a part of and leaders in organizations that confront violence and racism, resolve to be part of the solution against this kind of hatred and resolve to stop the violence with strong and reasonable gun policies. We must become leaders for compassion and the healing of our souls and communities. This is a special sacred challenge for all of us in Arizona. We have our own racist history and current bigotry. We have an infamous history of bigotry with our Native American brothers and sisters. We have history of segregation and prejudice with our African American community even losing a Super Bowl because of that public intolerance. Historically we have been leaders in bigotry toward Latino communities, even in our religious communities where some separate Catholic Churches were created because Latinos were not allowed to worship together. Our recent history with SB1070 and many other public acts of bigotry have made us national focus of that current discrimination. Social workers are called to a people of peace. One of our profession’s great founders Jane Addams was a Nobel Peace Prize winner for her work building justice and reconciliation in communities. We need to challenge violence as a solution embedded in our national DNA with prophetic leadership that builds peace and compassion. And by the way, don’t let anyone say, you are politicizing this or any other tragedy, because our life together is always political. That is the nature of living in a democracy. We decide our shared well-being in community by political means and this rampant ongoing racism and violence are obviously not good for us or for building human dignity, human kindness, social and economic justice, and human community. No matter our race or ethnicity, we must dig deep, confront how we are personally impacted and begin to challenge the prevailing bigotry and anger and be a force for love and justice and be a part of the healing and reconciliation. None of us are off the hook anymore. We must no longer remain in denial. We must say, enough is finally enough. We must each take the first steps for change and healing in our personal lives, in our work and our shared political and community lives. We must be Amazing Grace which comforts the loss and grief, but also empowers us to build a new beloved community as we heal our souls, our history, and our communities and create new ways to live together in love and justice and peace. Amen. Click here for the NASW national and here for the NASW South Carolina Chapter Statements on Mass Shooting at Emanuel African Methodist Episcopal Church in South Carolina. As Secretary of the Board of Directors, I am pleased to announce the following results of our 2015 election. All terms become effective on July 1, 2015. Please join me in welcoming our newly elected members and thanking the Chapter Committee on Nominations and Leadership Identification for all their time and work on our behalf. For a full listing of our Board members,click here. Click on the links below for times, locations, online registration and more information.Please click the links to registerto let us know you plan to attend, and we'll keep an eye out for you! Prescott Networking: Second Wednesday of each Month:Networking Meeting with Prescott and surrounding area social workers. Join us for discussions and planning at Catholic Charities in Prescott (note the location change). Flagstaff Networking: Second Thursday of each Month:Please join us at the Campus Coffee Bean for an hour of networking and talking about upcoming events. We are planning to meet on the second Thursday of each month at 5:30 at Campus Coffee Bean, so mark your calendars! Tempe Networking: Third Thursday of each Month (1 CEU):Join NASWAZ Branch 1 for a networking and an educational meeting at Ruby Tuesday's at Tempe Marketplace. (1 CEU). Bring your favorite resources to share with your colleagues. Sierra Vista Networking: Fourth Thursday of each Month (1 CEU):Sierra Vista Network Brown Bag Lunch Meeting occurs monthly the fourth Thursday of each Month. Networking 11:30am; Program 12:00 - 1:00pm (1 CEU). Alternatives Counseling, Inc., 999 E. Fry Blvd, Suite 305, Sierra Vista, AZ. More workshops to come! Register at http://www.naswaz.com today! Offered by multiple state Chapters of NASW. This Online CE Institute has high quality programs available on demand with well known names in the field of social work and behavioral health. Feel free to browse our store before purchasing. Member and non-member fees will apply accordingly. NASW/ASI is pleased to sponsor the Professional Education and Training Center. Social workers who are not members, but who are in need of CEU's are also welcome to participate for standard registration fees. You must log in to participate. If you have difficulty logging in you may contact your NASW Member Center at 1.800.742.4089. NASWAZ Statewide Award winners will be recognized as part of the 2015 NASWAZ Social Work Conference and Awards Luncheon scheduled at the Black Canyon Conference Center in Phoenix, Arizona on Friday, September 11, 2015. The Conference will feature the Awards Luncheon, workshops (up to 6 CEUs), and networking opportunities. Registration for the Conference and Awards Luncheon will open in late-June as speakers and presenters are finalized. Attendees will have the ability to register for the full day or for the Awards Luncheon only.Please save the date of Friday, September 11, 2015 to attend the 2015 NASWAZ Social Work Conference and Awards Luncheon. This year's conference is scheduled for Friday, September 11, 2015 at the Black Canyon Conference Center. This year's event will feature engaging CEUs, policy updates across sectors, and a spectacular awards ceremony. We're looking forward to a great turnout -- mark your calendars! We’ve chosen a schedule and sponsorship is now open! If your organization is interested in supporting NASW’s efforts, please complete the online sponsorship form! Attention social workers and social service staff that work in long term care: You are invited to participate in a long term care social work task force monthly conference call on the 2nd Thursday every month at 12:30 PM. The Arizona Long Term Care Social Work Task Force is offering aFREE monthly conference call for all social workers and social service staff. Relevant and challenging issues are discussed in an interactive, roundtable-style forum with other social work peers. The conference call is held the second Thursday of every month and is facilitated by a member of the Social Work Task Force. Participants can ask questions, present cases or just listen in on the discussion. This is a wonderful learning and networking opportunity to ask those tough questions about issues in the nursing home as well as share ideas and resources with each other. Arizona Department of Health Services (ADHS)completed initial draft rules for SB1194 which outlines the types of medical professionals that can take part in the Primary Care Provider Loan Repayment Program. Social workers are listed as behavioral health professionals that are eligible for the program. NASW attended the stakeholder meeting on June 18th. The rulemaking timeline includes the stakeholder meeting, publication of a notice on the Secretary of State's website, a comment period from June 29th to July 28th, and a review of comments and revision of rules from July 29th to August 28th. For more information about the progam, click here. (UPDATE 6/26/2015: ADHS is continuing the process of reviewing and revising the draft rules. As a result, the 30-day public comment period for this rulemaking will not begin on June 29, 2015). 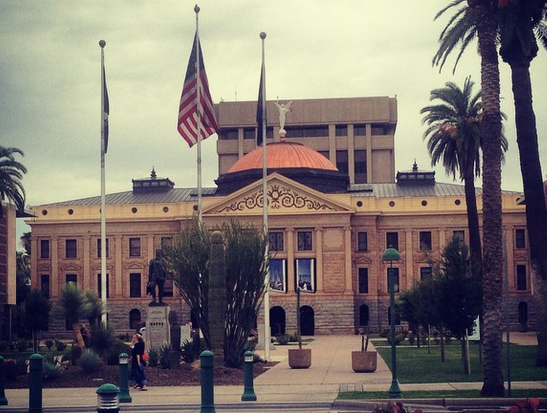 AzBBHE planned to hold a Rules Subcommittee Meeting in June, however, they are waiting for approval for an exemption from the rulemaking moratorium pursuant to Executive Order 2015-01. If you have feedback on the rules, you may submit the feedback directly to the Board or to NASW at jeremy@naswaz.com. Medicare Fee for Services is being replaced with payment increases for clinical social workers and other Medicare providers over the next five years.Click here to read the entire Practice Alert. Advertise in this enewsletter for just $80/month. Looking to post an ad about available office space or want to feature upcoming events and workshops? Go to our classified section and check out the postings, which can change daily. If you would like to post a classified or other advertising opportunities with NASW, click here. General Liability and Cyber Liability Protection Now Available Exclusively to NASW Members! Not sure you need professional liability insurance? Visit this pageto learn why you need to be protected and why you should choose NASW coverage. Need a Job or Seeking Employees? Click on "Career Center" and "Post Jobs." Also, employers can widen their search by posting with our national office. Please go to http://careers.socialworkers.org/. The Social Work Career Center is a career website where social workers can search national job listings and find professional development and career resources that span across the duration of a social worker's professional career. The Career Center is also a resource to social worker employers. Employers of social work can post job ads for a fee to find and recruit qualified, credentialed, and licensed social workers across the country. Searching nationwide: Employers can widen their search by posting with our national office. Go to http://careers.socialworkers.org/. The Social Work Career Center is a career website where social workers can search national job listings and find professional development and career resources that span across the duration of a social worker's professional career. PASSWORD PROCEDURE for NASW Members: Your username and password for www.naswaz.com is now matched to the username and password that you use to access the national NASW website at www.socialworkers.org. If you have problems logging into the Chapter website at www.naswaz.com, click on "forgot password," and you will be redirected to www.socialworkers.org to update your information. You will need to wait about 24 hours for the national website to update the Chapter on the change. If you are seeking to login to secure a member discount, contact the Chapter office directly and we will make certain the member discount is properly applied. Click on the links below for times, locations, online registration and more information. Click here for more dates in 2014!